I’ve been eyeing this pattern in the cover of the Spring 2013 issue of Interweave Knits ever since it arrived in my mailbox. 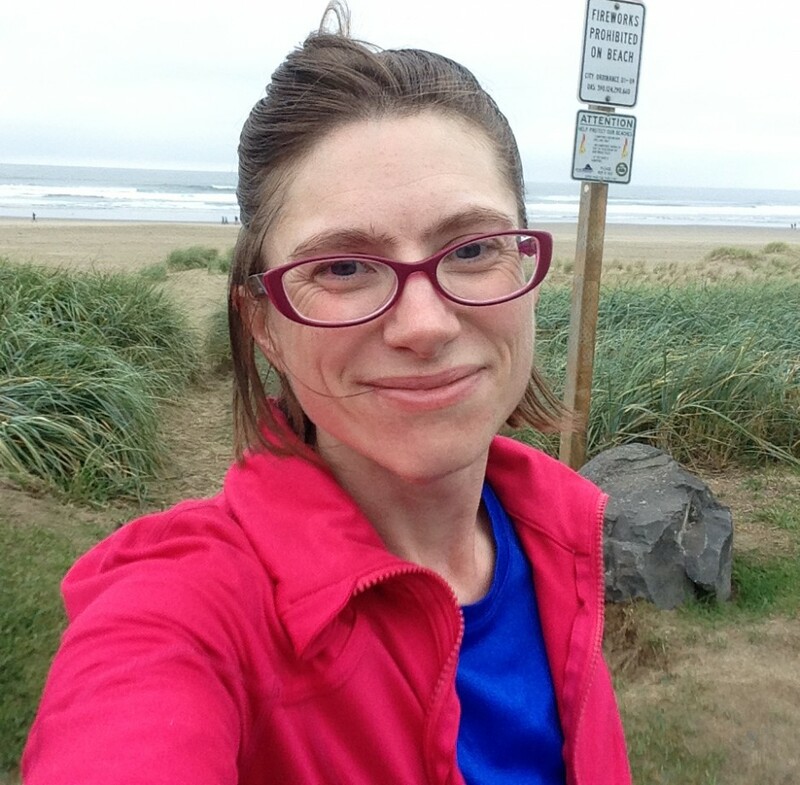 It’s the perfect type of springy pullover that I love to layer with on chilly, but not too cold, days. The pattern is pretty but simple. The lace detail that runs up the middle and back of the body of the tee and decorates the saddle shoulders breaks up the monotony of the otherwise plain tee. I had no trouble with this pattern at all. It’s well written. I memorized the lace pattern quickly, making the knitting easy and relatively mindless. I modified the pattern to work the body in the round to the armholes. Then I divided the front and back and worked them separately. This is the first time I’ve knit a sweater that is made with saddle shoulders. It wasn’t any different than working a set in sleeve though and I really like the effect of the lace panel on the finished tee. 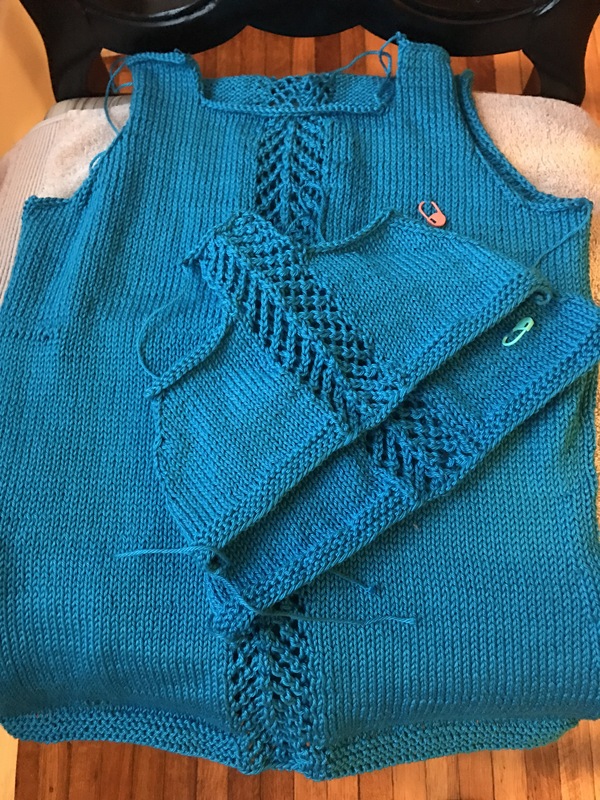 This was a really straight forward project and I think it’s going to be perfect for layering in the spring and fall, and pretty in the summer with a camisole underneath. 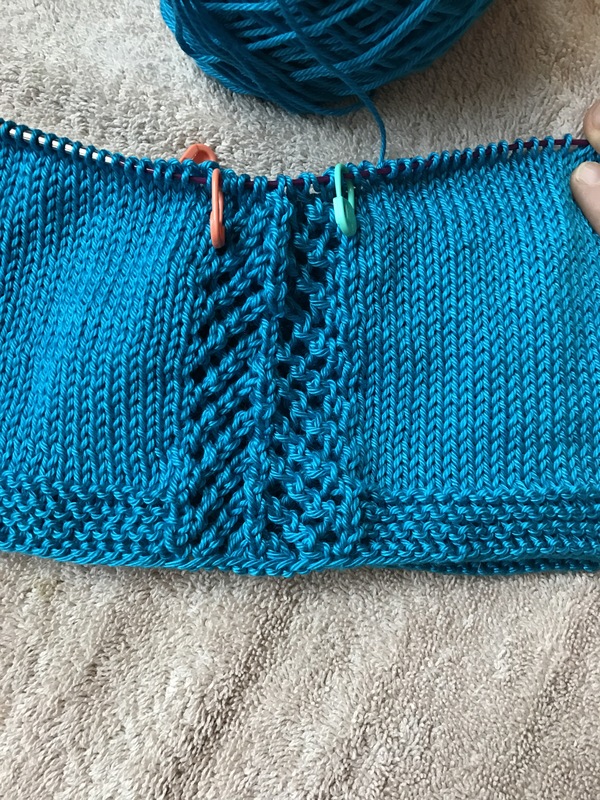 The bottom edges of the body and sleeves are worked in garter stitch. However, there is no finishing edge on the neckline so it rolls just a tiny bit. This is my only complaint about the design. 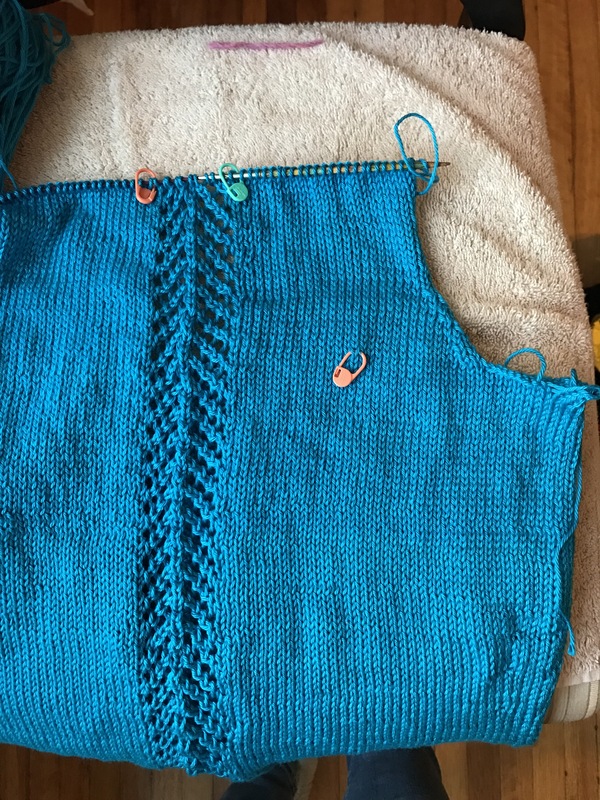 Mods: I knit the body in the round until it was time to shape the armholes.